With Quad service history from July 2000, this 405 is in full working order and excellent physical condition (see close-up pictures). Tested for 2 hours with its matching pre-amp with no issues at all and most importantly; no issues with the two big mains smoothing capacitors, which can often be turning into mini volcanos you won’t be aware of, because you haven’t looked inside. 100 watts RMS per channel of audio joy. Multi user switchable mains voltage, so this will operate in any country. This comes with original user manual and mains cable. It also comes with either a 4-Pin DIN to 4-Pin DIN signal input cable or a 4-Pin DIN to 2 x RCA - you choose. 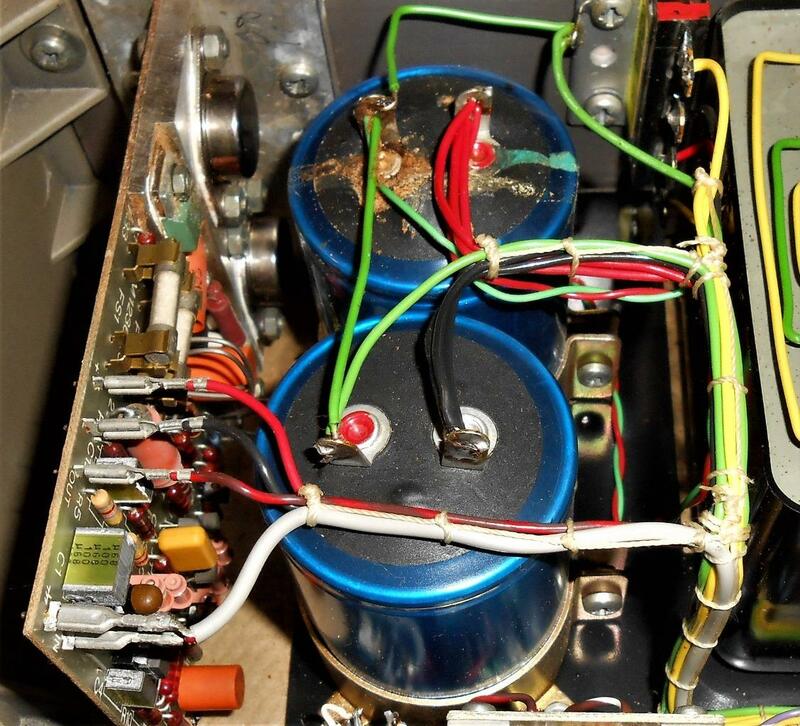 Important: If you are considering buying a 405 or 405-2 from an online seller ALWAYS ask to see inside. Here's one that was working when we got it - but wouldn’t have worked for much longer before going bang..!